Every once and a while you get some great recommendations. Most of time you don’t. Here are three recent recommendations that sent me back for more. Maybe you will like them too. 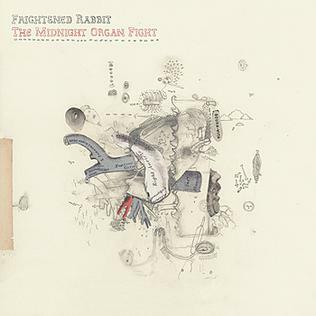 I feel like the only two albums I listen to anymore is The Suburbs and The Midnight Organ Fight. This may be the best indie album about a break up ever. I could be wrong, but that’s what it sounds like. You know, I didn’t think I would like James Joyce. That’s a lie. I didn’t want to like James Joyce, because I didn’t want to have to read Ulysses. I’m in trouble now. Some of these short stories are so-so-so subtle and perfectly beautiful! One of the most bizarrely existential movies I’ve ever seen. Apparently you either love it or hate it. I loved it.